A fabulous collection of the rare and the famous, film themes from the golden age of cinema, the 50s and 60s – Ealing comedies (The Rebel, I’m Alright Jack), kitchen sink cinema (A Kind of Loving, A Taste of Honey) and Hollywood hits. We have the thunderous theme to the Diana Dors film Passport To Shame, the party scene from the fabulous Experiment In Terror, and some of the biggest names in soundtrack history – John Barry, Henry Mancini, John Dankworth and Ron Grainer. 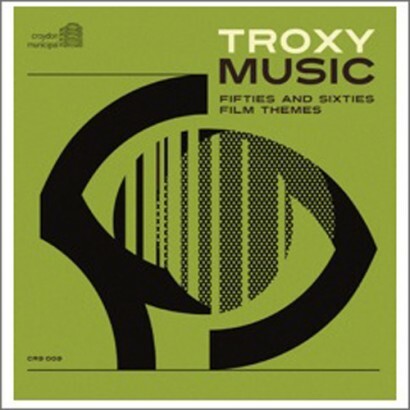 Troxy Music is a terrific mix of hard-to-find themes from major movies. Many obscurities and gems for soundtrack collectors. Top British jazz rarities. Most tracks on CD for the first time. Compiled by Martin Green and Bob Stanley.